The National Association of Realtors’ (NAR) latest Existing Home Sales Report revealed that first time homebuyers made up 32% of all sales in the month of May; marking the highest share since September 2012 and up from 27% the same time last year. NAR’s Chief Economist, Lawrence Yun, cited “strong job gains among young adults, less expensive mortgage insurance and lenders offering low down payment programs,” as contributing factors to the increase in first-time buyers. Existing-home sales rose 5.1% to a seasonally adjusted rate of 5.35 million. Total housing inventory for sale remains under the 6.0 months needed for a historically normal market at a 5.1 month supply. Homes sold quickly in May, as 45% of homes sold in less than a month. 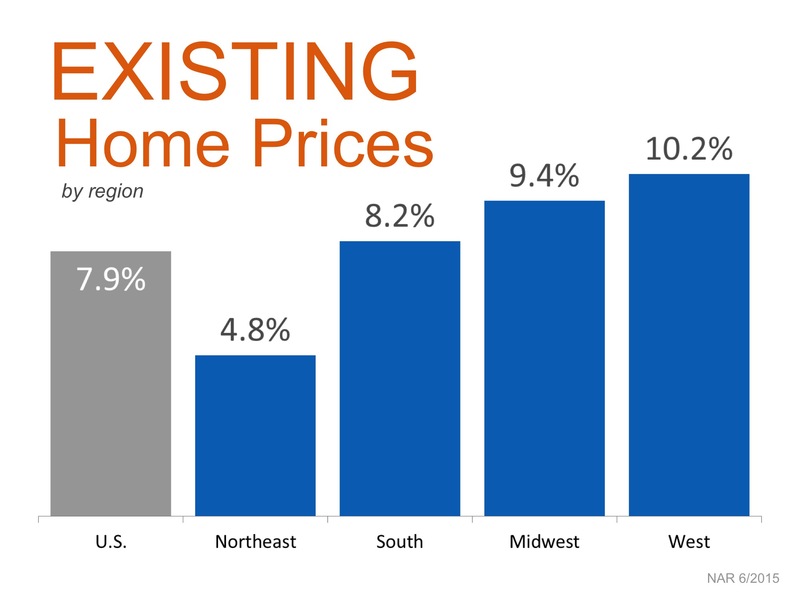 May also marked the 39th consecutive month of year-over-year price gains as the median existing home price rose 7.9% above May 2014 to $228,700. If you are a homeowner considering a move this year, meet with a local real estate agent who can show you the opportunities available right now! Don’t miss out on the influx of new buyers entering the market every day.